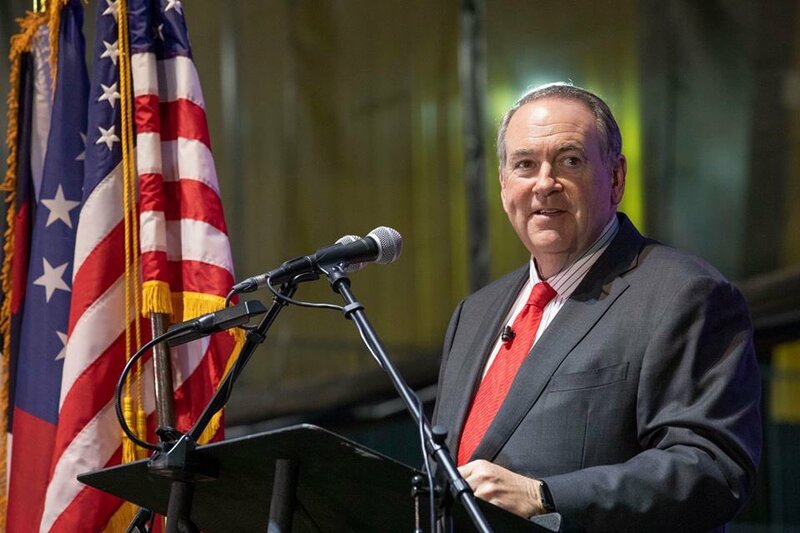 (Cleveland)- Several hundred people attended the second annual Faith and Freedom Celebration held Saturday evening in Cleveland. 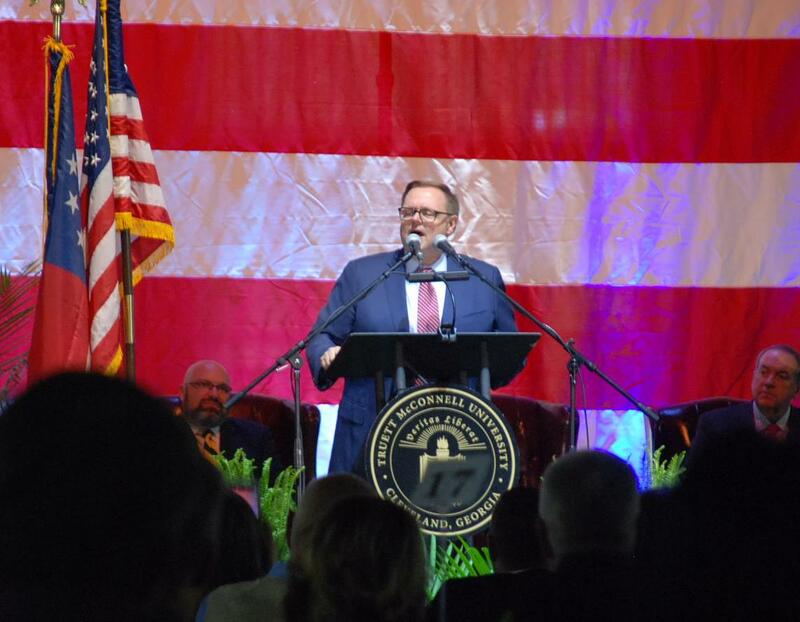 The event was held in the Truett McConnell University George Blaurock Student Wellness Center. One hundred percent of proceeds from the event will help fund the university’s “Empower the Call” campaign which provides assistance for student mission trips, creates retention scholarships, and reduces missionary student debt. 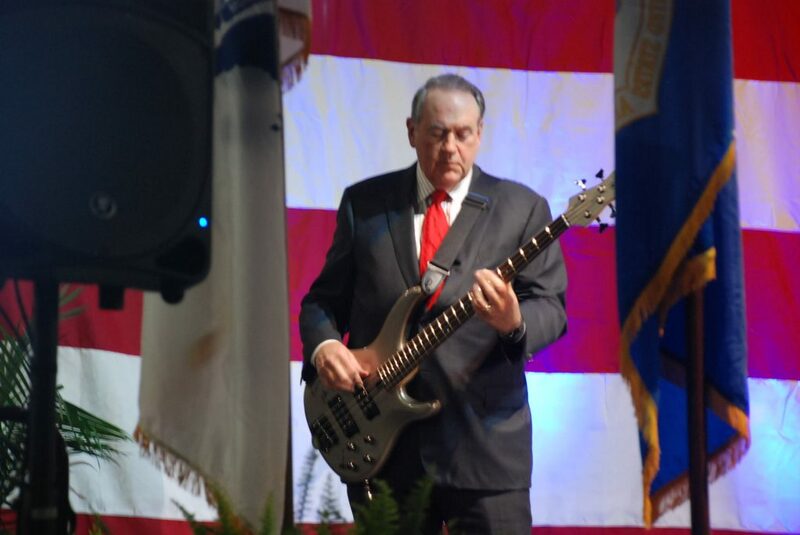 Mike Huckabee playing a 4 string bass guitar donated by Lancaster Music of Gainesville.